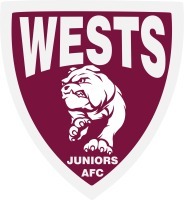 Thanks to grants from the AFL Queensland and the Brisbane City Council, Wests Juniors has installed four enormous lights at its Toowong ground. The new lights are fantastic, and make training and night games safe. 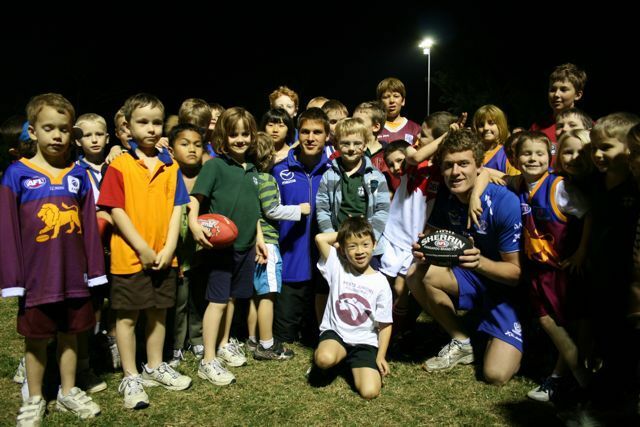 North Melbourne Kangaroos players Andrew Swallow and Lachlan Hansen (both pictured) were surprise visitors to the club’s Auskick training session under lights.